Yoqneam, Israel, October 27, 2016 — MIND C.T.I. 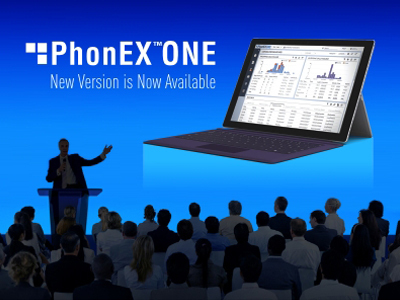 LTD. (NasdaqGM:MNDO), a leading provider of convergent billing and customer care product based solutions for service providers as well as unified communications analytics and call accounting solutions for enterprises, today announces the release of a new PhonEX ONE version, designed to help companies gain business intelligence from their unified communications. Enterprises, especially large organizations with global presence, increase investments in advanced unified communication infrastructure, aiming to provide their employees with high quality communication services, while managing properly their cost. According to Gartner, enterprise unified communications infrastructure emerges as a result of convergence in the established separate markets for telephony PBXs, e-mail and calendaring, voice mail, Web conferencing and additional new services. Clearly corporate communication extends to much more than internal phone calls and includes advanced services such as audio, video, conference calls, IM and more. MIND PhonEX ONE is designed for multitenant architecture and available as a Cloud based service, on premise deployment or hybrid model supporting multiple types of communication platforms such as Cisco UCM 11, Skype for Business, Avaya Aura, Unify, Mitel and many more. MIND CTI Ltd. is a leading provider of convergent end-to-end billing and customer care product based solutions for service providers as well as unified communications analytics and call accounting solutions for enterprises. MIND provides a complete range of billing applications for any business model (license, managed service or complete outsourced billing service) for Wireless, Wireline, Cable, IP Services and Quad-play carriers in more than 40 countries around the world. A global company, with over twenty years of experience in providing solutions to carriers and enterprises, MIND operates from offices in the United States, Romania and Israel.